With less than a month away from the magical Christmas season, everyone is starting to get in a frenzy about how they can decorate their home, especially their dining and living rooms, in the most exquisite and original manner. Today, we will provide a series of Christmas Decor Ideas that go beyond the conventional. 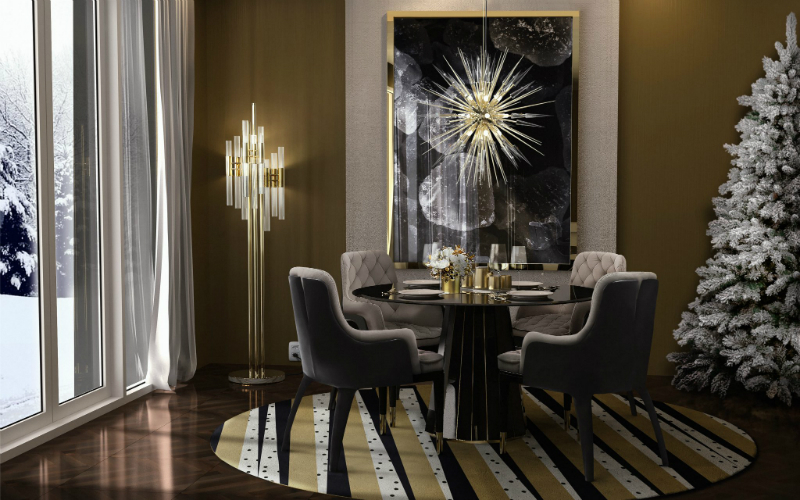 In this article, you will get to see a curated selection of furniture and lighting designs as well as accessories that have the perfect edgy twist and are quite the complement to this whimsical season. Patch will provide a contemporary touch to your Christmas. 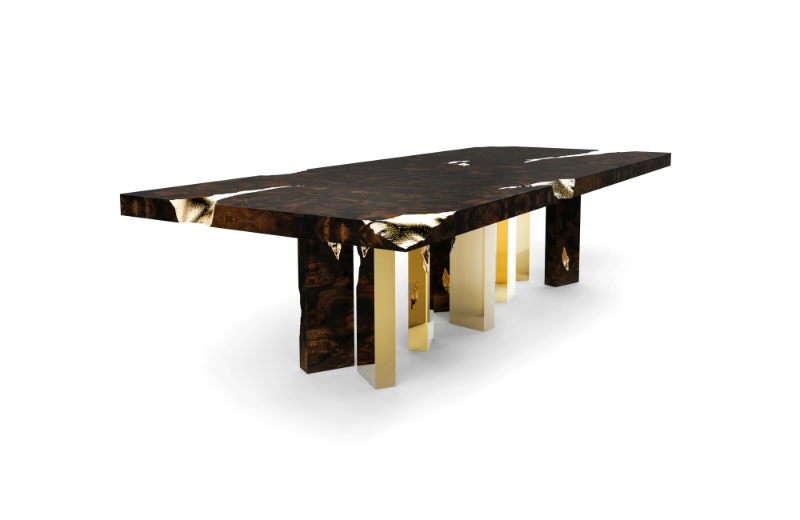 This intriguing piece features an intricate wood veneer top with geometric mosaics and a sculptural base, made of oak. For a more intimate gathering, opt for a handcrafted piece such as the Darian dining table. This exclusive design has a round smoked glass top and a wooden base in black lacquer with gold-plated brass bars. 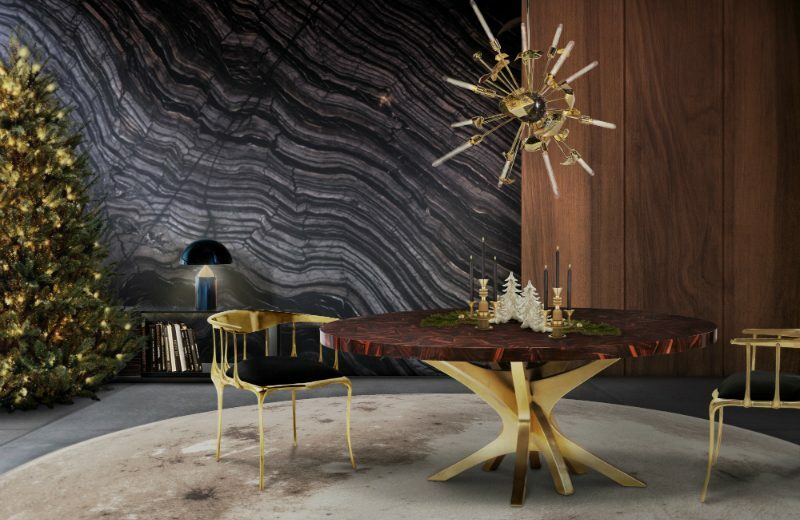 This unique dining table is bound to become the star of your feast. Its eccentric form made of mahogany features gold accents throughout. Curiously, this dining table was designed as a symbol of a prosperous future, so raise your glass and have the most memorable time this season! Perry features a body structure produced in solid walnut wood. This mid-century chair evokes a sober look that contrasts perfectly with its metallic and polished brass touches. 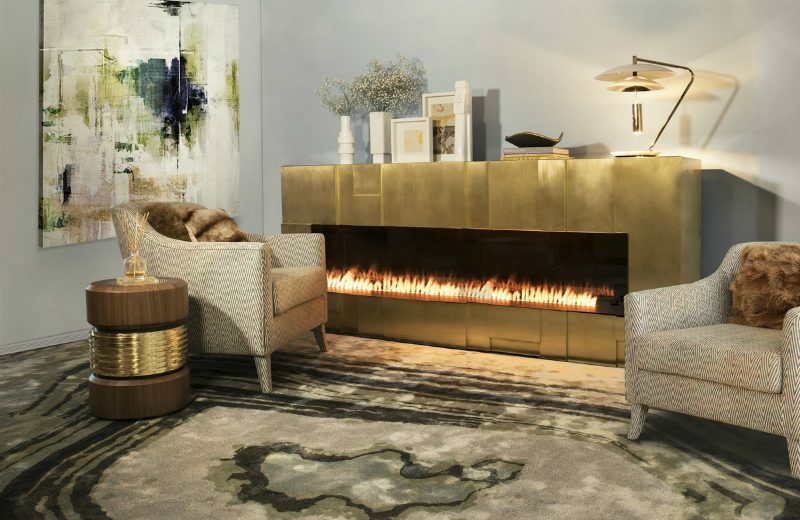 A symbol of wealth and boldness, this outstanding fireplace features a brass structure and is bound to make your ambience both warm and luxurious.